I have been wanting to make a frog hat for a very long time. Of course I conjured any and every image of a frog I could and remembered The Princess and The Frog movie where the princess turns into a frog. 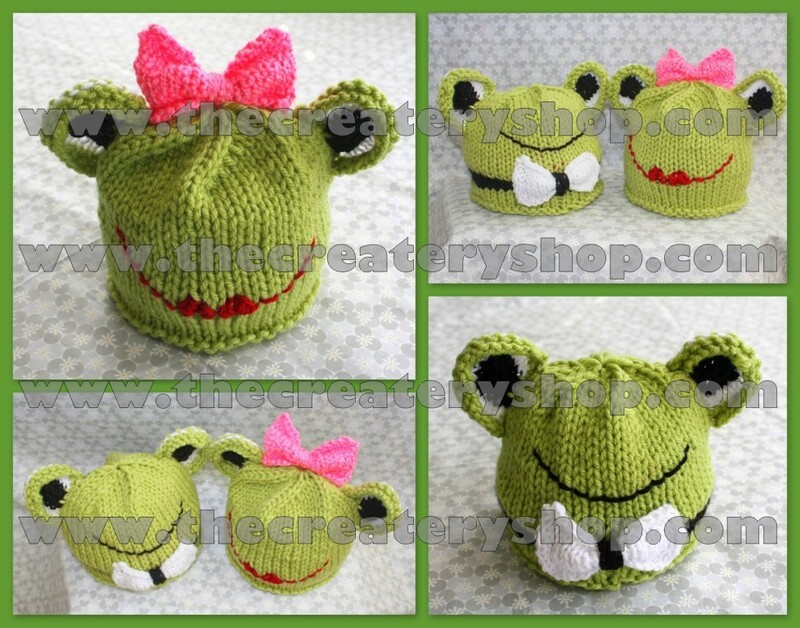 Thus, the idea to make matching baby frog hats took off! Wonderful for anyone who has twins or siblings that want to match, yet not exactly match! Just in time for St. Patrick's Day too, what a way to show off your green! - Size fits approx. 9 months to 3 years old toddler. -Made from chunky acrylic yarn. Item will be shipped 1-2 business days upon receiving payment. Shipping will take between 5-10 business days for arrival within Canada and USA. Hat is made in a smoke-free environment and shipped securely in an air-tight and waterproof packaging bag with bubble wrap envelope to ensure your item arrives in perfect condition. If you would like to make this yourself, I am also selling the knitting pattern! Click on the button below to get the pattern that includes both the girl and boy frogs!